Welcome, everybody, to this week’s teleconference. We will be with you the next few weeks to preview all of the biggest Kentucky Derby Prep Races. But before we get to the Florida Derby at Gulfstream Park, first, today, we want to touch on the Dubai World Cup from Meydan. They have got their big derby prep of course in the UAE Derby, but then the feature will be the $10 million Dubai World Cup, and we are very fortunate to be joined by Dallas Stewart who is in Dubai already, and we are going to talk about his Breeders’ Cup Distaff winner and Champion Mare Forever Unbridled. Dallas, thanks for coming on. We know it’s a little bit later over there, but we appreciate your time as always. First of all, we now know that this is going to be Forever Unbridled’s last start. She doesn’t have anything left to prove on the race track. What can you tell us about Mr Fipke’s decision to breed her this year and then also to race her one last time in this spot? Yeah, he is a breeder, you know, and I am pretty sure that that’s going to be his decision. I guess people can always change their mind, but that’s – to my understanding, that’s what’s going to happen, but, you know, she has had a great career and we hope we can cap it off and, you know, so it’s going to be a great race. She is doing very well over here, I am very happy with her. And the word is she is going to be bred to Medaglia d’Oro. How does it make you feel knowing that this is probably it and she will be leaving your barn after Saturday? Yeah, I mean, I really haven’t thought about it all a whole, whole lot, you know. Maybe it just hasn’t hit me, but we are just focused up on training her right now and trying to win this race. That’s the main thing I have got on my mind. Yeah, Dallas. You worked for D Wayne Lukas for many years and he was never shy about running the colts against the fillies. In your experiences, what qualifies a filly or a mare to run against the boys? Well, I mean they have to be an exceptional mare, an exceptional filly, you know, that in my mind to take on the boys. You know, for Forever Unbridled, she seems to, you know, have the grid and the talent to be able to compete with this, you know, with these horses. So, you know, given said that, I think we would get a little break in the way, so we will get a little laid off; so that will be good. But it’s never easy, I can tell you that, when you take the girls against the boys, it’s always tough, it seems to be, but you know, she is doing very well. So, we would just have to see how she does. Of course, in Europe, it’s a lot more commonplace when they run the boys against the – when they run the girls against the boys. Yeah, I have heard that. I have heard that. Do you think in the States, we are a little too conservative or do you think – what’s your thoughts on it? Well, there is a lot of filly races, you know, you just don’t have to do it. You know, there is divisions for every, you know, kind of the races that you want to run in; long, short, grass, dirt. So, I mean surely you don’t have to, but so it’s just a situation where $10 million race, so we just thought we will give it a shot. Now, like most girls, she likes to travel, she – last year all of her races were different tracks and wins and all that. So, this is a little bit different. How has she taken to this you think? Well, you know, I have put in a few videos on Twitter about her. I put one on there today. You ought to see her just in a stall, just bucking and kicking and just getting down and rolling and she is just very happy. So, I mean that’s what we look for when we were training them, trying to keep them fit and happy. So, I think we got a good combination of that right now. When you think about her and what she did last year, what’s the biggest thing that sticks out to you in those accomplishments? Well, she didn’t get started until late. She made her first start in June. She won that, then she won the very next race, she beat a champion, she beat Songbird, and then she travelled out to – you know, out to the West Coast, which isn’t never really easy going east to west, but it didn’t bother her at all. So, you know, those three races were pretty phenomenal I thought. So, – And she has held her fitness good, she – knock on wood, she is good and sound and she looks to me like she is getting ready to run again. She feels good. I just wanted to get a little bit more into why this race, if you don’t mind. I mean aside from the large person and her talent, she certainly fits the race, but, you know, when people look around at all the opportunities that are out there, I mean she could have been favoured in a race like the Apple Blossom, or, you know, tried male [inaudible]. She won that already. She has won – she won. She won that, she has won that already, so that’s one reason .You know, and then if he wants to breed her, it’s a getting a little bit late, you know, so timing-wise, this works out, you know, good as far as the breeding aspect of it. And, you know, it’s just a great race, I mean, it’s one of the – why not give her a shot, you know, it’s just a great race. If she wins it, I mean, in my mind, if she wins this, she is gone in the hall of fame and they are going to put her mother in there too. So, I mean this is talking about a phenomenal accomplishment. So, that’s a lot of things. You know, then Mr Fipke really likes the race. He loves Dubai. So, we thought we would give it a shot. So, there you go. For the sake of our New Orleans folks and some NFL writers, some thoughts on Mr Benson? Yeah, it was a tough couple of weeks, you know, I mean Mr Benson fought that flu for a long time and you know, I am sure it wore everybody down and you know, just he’s just a lord charming, and Ms. Benson looks like she is doing well, I have seen her on a couple of videos and so she is marching on in full steam ahead and I am glad of that. And Mr Benson was so nice to me to give me a job. Anybody that wants to give me a job, I am just, you know, very happy to have an opportunity to work for people and you know, he just called me out of the blue and hired me, he gave me a job and I was able to win some nice races for him. So, he’s just a terrific man and a terrific guy for the city, a very generous man. He loved to win and he loved to compete and, you know, he is going to be missed by a lot of people in New Orleans. I mean it’s unreal, how much they loved him and how much he did for that city. So, it was a great time to work for him. I really enjoyed it and I am going to continue to work for Ms Benson and hope I have a lot of success for her also. Excellent. Well, thanks for those thoughts and Dallas. We wish you luck on Saturday. Can’t wait to see how it goes with Forever Unbridled. All right. Dallas Stewart, one of the big [inaudible] going into this weekend’s Dubai World Cup Carnival. There is about 15 US-based horses out there that made the trip including West Coast, Mind Your Biscuits, Roy H, Richard’s Boy, Stormy Liberal, XY Jet. So, a lot of great American horses over there at Meydan this week and be sure to follow those races. They will be Saturday morning from the UAE. But now, we want to get back to the Road To the Triple Crown and the Florida Derby and our next guest is going to be Dale Romans. The Florida Derby has produced the winners of the last two Kentucky Derbies between Always Dreaming and Nyquist in three of the last five and when you will add in Oregon 2013. This year’s field has five graded stakes winners including the Holy Bull winner and Audible, the Remsen winner and Catholic Boy and the Fountain of Youth winner and Promises Fulfilled, who is trained by Dale Romans. So, I will check in with Dale now and let’s see if we got him on the line. Dale, are you there? 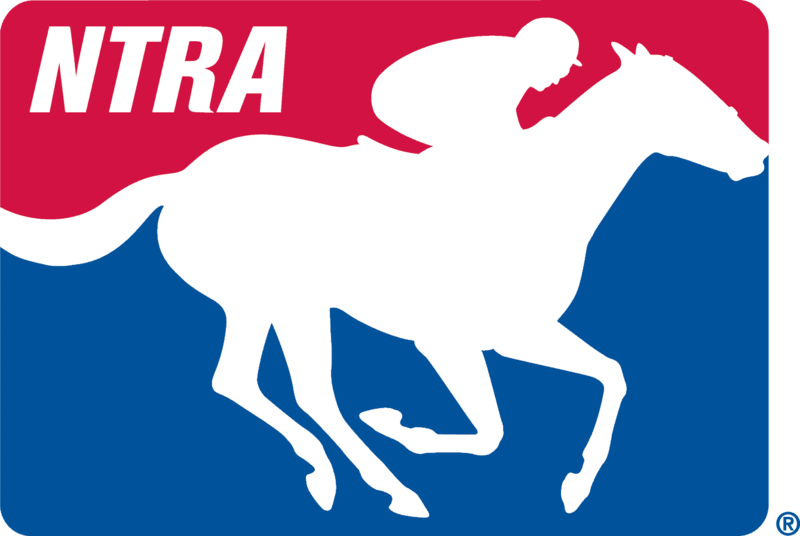 It’s Jim Mulvihill and you are on with the – on the NTRA National Media teleconference. We want to talk about your two in the Florida Derby on Saturday, not just Promises Fulfilled but also Storm Runner. But let’s start with Promises Fulfilled, if you don’t mind, who won the Fountain of Youth pretty convincingly. It was his first start, he is a three-year-old, just tell us what impressed you about that effort? Well, just a fact, it wasn’t his first start. [inaudible] to be in that race and for him just to push the gas from gate to wire and be drawn up again and galloping out strong afterwards, I mean I exactly knew how to be [inaudible] with him. Yeah, absolutely, and it was surprisingly easy for him. You know, off of a big effort like that in a seasonal debut, there is always a little bit of a fear of a regression. Talk about his work on Saturday which you seem pretty impressed by. It is. It is very impressive. He just does whatever you want him to do and he is just a horse in the barn, which really knows that there are no issues and I mean goes out there and takes care of his business and you know, he actually should be undefeated. And if you go back and watch him, [inaudible] at Churchill, I mean he is getting out every step of the way, almost to the point of trying to bolt and still runs better. I have never seen a horse either with that much energy fighting his rider, and when it’s faulty pops a splint in the racing. You know, fighting his rider like that and still finish up as well as he did and everybody around him that were going to do straight back up and he was only at a speed to keep going, that’s him. And, but he, you know, he came out of that race, we worked on the splint, and for him to come back, and this was quite a bit of time [inaudible] for him to come back and run like he did in the Fountain of Youth, it really impressed me. You know, he is a [inaudible]. Okay, great. Well, let’s just move on to Storrn Runner then real quick. He had a – according to the chart, he had a tough trip in the Fountain of Youth, it says he steadied early – although it is not apparent when you watch the replay, just tell me what you saw and what Joelle had to say about that trip? If you actually play up to about the half mile [inaudible] that’s where the problems were, when Joelle just started letting – he tried to get him to ride up, he started Promises Fulfilled when there was no place to go, I mean I don’t know why he did it and all he could do he was doing afterwards. It was just a bad ride, and this is a momentum type force, you don’t want to [inaudible] and try to restarting. And you know, that took – takes us back a few years ago with Shackleford. He won the same rounds race and came back and ran [inaudible] in the Fountain of Youth and comes back and gets beat ahead in the Florida Derby. And that made – you know, I was there for his career and we decided to – Hang on, we are in the car, we don’t want to go in my garage, I will lose. So, he, yeah, so Shackleford is a very similar situation and hopefully he will come back and run like Shack did in his Florida Derby. All right. Whenever Promises Fulfilled was turned in for home in the Fountain of Youth, wasn’t it a little bit of déjà vu? Did you think you saw his pappy out there when he was running because the joker runs strong and just like his daddy, were you really impressed with him and what were you thinking? Yeah, I thought he is a lot like his father. Of course, at Fountain of Youth [inaudible] a little terrible, so that wasn’t déjà vu for the Fountain of Youth, but now you reminded me was that he rides [inaudible] his dad, I thought because they both had that stamina, but they had the speed to go with it. And when you can run fast or just keep on going, it’s a special horse. So, when we a field in their lives, Shackleford rose to the main – a few of those horses that were just going on to make a clip of 12s every furlong and damned if you did and damned if you didn’t go with them. Now, your Shack had that – had a deal where he would work himself up and he would get all hot and bothered almost like, but the joker would run like that. Do you see the same thing for this horse or is he a little different? He is a little more calm. He is not quite as hiked up as his daddy. Shackle is, you know, everybody made a lot of deal about him, sweating all the time and stuff, but he was just a horse that got hot and was on his toes all the time. But this horse is a little more laid back, he has still got a nice energy about him, but he is a little more laid back and – but, you know, he is a good horse and the [inaudible] his daddy has, he doesn’t have, so and there were very few, but he doesn’t have it. Keeneland opens next week. Obviously, you look forward to that. You got Free Drop Billy, is he going in the Blue Grass? Have you made a decision there yet? Yeah, he will go in the Blue Grass. You know, he won the security. So, the Blue Grass will, you know, the obvious place for him, he likes the race track and, you know, with this ownership group, we have twice won in the security in Blue Grass back to back with the same horse and hopefully will do it again. Yeah, Dale, I was interested in your thoughts on the qualifying points system for the Derby. Do you like it, don’t like it, what are your thoughts? I mean I am indifferent about it, so you [inaudible] that. I don’t see a problem with the old system, I don’t see there are [inaudible] exposing many horses or including many horses, but I was kind of thinking away from the speed, that the speed in Kentucky Derby, you know, horses, they are one or two spread and then they don’t get to be in, but there was a piece of it that I don’t like and that’s always the discussion of whether or not the best [inaudible] filly will show up in the derby or run in the Oaks. And you really don’t have that opportunity to talk about it anymore unless they are willing to take the boys on earlier. Right, right, now and you expect [inaudible]. Whether they ran or not, always join the discussions. Yeah, yeah, no, I agree. And looking around the rest of the country, the preps that you have observed throughout the country, anybody caught your eye, any of the three-year-olds other than yours that you are impressed with? Yeah, I mean there is a bunch of goings on there, I think we all like Mackenzie [inaudible] origin, and you know both the horses were fine horses. Those two Californians were good, Magnum Moon is a good horse. There is a bunch of goings out there, but I haven’t seen one who I thought dominates the crop yet and so, you know, justify [inaudible] the great thing about the Kentucky Derby is it takes all the regions that are out there and the best of each one of them and they are like top three of each one of them, they come to gather from the derby itself who is the best and it’s – that’s what makes the derby so special, so really the first time that they will all come together. Well, you have time to give us some quick updates on some of the other three-year-olds that have derby points, but we – we would like to know maybe where they stand right now. So, you got the two that came out of the Sunland Derby? I think King Zachary, I think, my new sleeper, he is going in the Wood. Tiz Mischief was in the Tampa Bay Derby? Yeah. Tiz Mischief and Free Drop Billy will both run in the Blue Grass. It’s all good and bye. All right. One of our favourite and most frequent guests here, Dale Romans, who is going to run too in the Florida Derby on Saturday and it’s actually a really nice field to come in together for that race. And we have got one of the other trainers represented in there and Mark Hennig, this is first time on NTRA teleconference I believe, but he should be no stranger to a lot of you, participating in the call. Mark has won more than 13,000 races in the past 25 years and that includes some grade ones with the legs of Star of Cozzene, Personal Hope, Raging Fever, Gygistar and Eddington. Saturday, he will saddle Strike Power who was an easy winner of the Swale in February. That race was seven-eighths, but then he followed that up with a good second in the Fountain of Youth behind Promises Fulfilled. So, now, let’s check in with Mark Hennig. All right. I am glad to be here. Thanks for having me. Excellent. No, it’s our pleasure. Can you maybe start with some impressions of the Fountain of Youth? The top three in there – they pretty much held their position all the way around and I find it hard to figure out what a race like that means. So, tell us what you took away from that race. Well, it happens more often than not, here in gulf, if you watch a lot of races here, so not totally surprising. But I think that, you know the takeaway was that, you know, maybe that the pace wasn’t the fastest pace in the world. So, I think it was, you know, it’s hard for those horses trying to close. But this track can play that way, especially on big days. And, you know, I thought our horse for his time around two turns ran an incredible race and we would keep kind of throwing new things at him and finally this time we are going to – kind of at least, we are adding a 16th of a mile, rather than 3/16th of a mile, and at least it will feel like similar type of race for him. Very good and how about just — since the Fountain of Youth, his training, tell us about his development this year up to this point. Well, I think he has done well. You know, he is a late April fool and I think he has really developed since that race. And as he has been here this winter, I mean from the horse I brought down here in December to what he is today, I mean he has just a horse that continues to go forward and, you know, I think he is getting a little more ranginess[?] to him. He has done extremely well here. Yeah, Mark. How do you – what are your feelings about the derby qualifying points system that’s in place right now? Do you like it, don’t like it, what are your feelings? I think – I mean in – as far as we go this year, you know, if our horse belongs, he is going to have the points, you know. So, I think it’s set up to, you know, keep the horses in and fit in the race, so, you know, certainly bad luck can get in the way and you know a horse can wind up with just under the border. But I think, you know, it’s never going to be a perfect system and, you know, I am sure they are going to have to tweak it at times, but, you know, it’s going to work for us if we are capable. Dale Romans brought up an interesting point earlier on the call where it’s kind of taken – the new system has kind of taken out the interesting debates about whether the top fillies should go in the derby with – unless the filly has run against the boys in some of these earlier derby preps, they can’t really qualify for the derby. What are your thoughts on that? I mean personally, I would probably, I mean it would take an exceptional filly for me to even consider something like that. So, I mean I think – I mean I am kind of a believer that fillies should run with fillies and boys should run with boys, but, you know, especially that early in the year. I mean I can see, you know, coming down to the end of a horse’s career like Forever Unbridled, Saturday taking the shot. In the Dubai World Cup, you know, she has done all she can do against fillies and mares and, you know, understand that the sportsmanship involved and that’s they want to do great. But I, you know, for me, I am comfortable with doing it with the way we have. And that’s come up from a guy that, you know, worked for Wayne when we had Winning Colors than won the derby. So, she was a different stature of a filly, that she was bigger than probably – she was probably the biggest horse in the race that day. So, you know, I just think, you know, for me, I am comfortable with – if I had a filly capable, I am comfortable with running it in the Oaks. And looking across the country, some of the derby preps we have seen so far, in your observations, anybody caught your eye, anybody – the rest of the country has impressed you, Mark? Oh, sure, I thought Todd’s horse who won [inaudible] was very impressive, Magnum Moon. I think the horses in California ran a bang-up race there, you know, in the race with the DQ. Those are certainly nice horses. And so, I mean I think like every year, you know, you don’t know, so we get them all together [inaudible] which crop is really — or where the depth is and not, you know, who they will face. And even then, you know, you never know a lot – what can happen, it could be sloppy and throw everything out the window, for those horses that have never run in it. All right, Mark, before we let you go, I just wanted to ask you a little bit more about the potential shape of this race on Saturday. We talked about how the Fountain of Youth was, you know, the top three just going around there. I am curious if in that race, were you hoping to get the lead? Was Promises Fulfilled just faster out of the gate or did you want to try and settle behind the horse and see how that went? Well, we had talked about, you know – I had brazed him from behind horses prior to the Fountain of Youth just in the event. I mean I felt like, you know, you got a three-year-old that is relatively lightly raced and doesn’t have a lot of experience. He is not going to be on the lead every step of every race in his life. So, you know, I mean we basically came away thinking if somebody wanted to go, I wasn’t necessarily convinced it was going to be that horse, but I thought if somebody really, really commits and our horse falls into the first churn comfortably and one should sit off of a horse, if he can do it, then I think he showed that. With that said, I don’t think he broke his stirrup on in the Fountain of Youth and, you know, as he had been. And I think part of that was due to just being in front of the grandstand and he was a little distracted on the day, basically first time with that large of a crowd. So, you know, I think the horse was slightly experienced with that race under his belt, I would anticipate him being a lot sharper leaving there, and you know, if he is, we are certainly not going to see anything away from him. And then – and finally, you know, he would probably – the way it is looking now, need a few more points to make it to the Kentucky Derby and not to get too far ahead of your – ahead of ourselves, but can you just talk about what that would mean to you to make it back again? I said we don’t, you know, if we are on the borderline of points and we are trying to stagger in there with third place points and, you know, it is just not something, you know, it has been discussed with Mr Adam and I know me and Mr Adam want to do what’s in the best interest of the horse in the long run and if he, you know, if he – if there is an indication that it is not in his best interest to go there, we are not going to take up a space in the cage just to – just to hear our names called. Exactly. He is going to make it. Yeah, he is going to make it for us, so we are – We are very confident in the horse in the way he is doing and you know, we would just wait him over there Saturday and I think at the end of the day, we will know what direction we are headed. Yeah, very good. Well, Mark, thanks for the time today. We wish you luck on Saturday and can’t wait to see what you have got in Strike Power. All right. Mark Hennig, the last of our guests on today’s teleconference. And we had a chance to preview the Florida Derby and talk a little bit about the Dubai World Cup. I want to thank our guests again for joining us; Mark Henning, Dale Romans. We also had Dallas Stewart checking in from Dubai, and we appreciate all their time. If you have any questions, feel free to contact Joan Lawrence or myself.